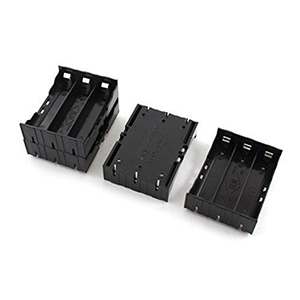 A Battery Holder is one or more compartments or chambers for holding battery. For dry cells, the holder must also make electrical contact with the battery terminals. For wet cells, cables are often connected to the battery terminals, as is found in automobiles or emergency lighting equipment. Where the battery is expected to last over the life of the product, no holder is necessary, and a tab welded to the battery terminals can be directly soldered to a printed circuit board. A good choice for you. 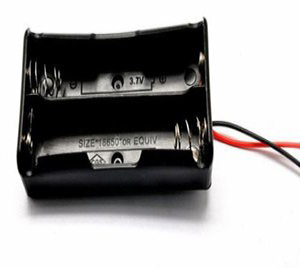 Holder for 2 standard size 18650 batteries. 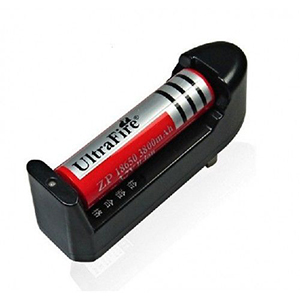 Keep your batteries organised and protected. Chrome plated springs to retain proper connection after long use also.